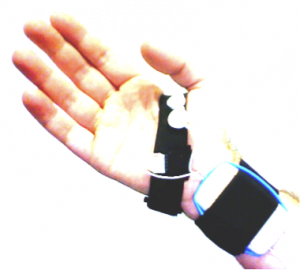 Project member PLUX has been working usability-wise to come up with a discrete wearable form factor for a glove that can be used for non-intrusive measurements of hearth-rate and galvanic skin response. 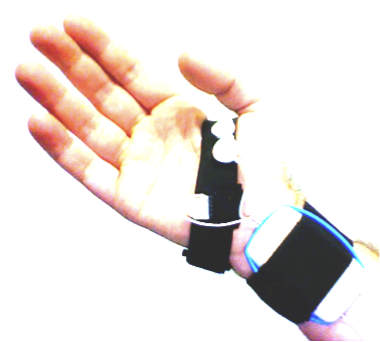 Below is a picture that shows how the sensors will be mounted in the glove. Tagged with: glove, prototype, sensor.